Few things are more relaxing on a cold winter’s night than building a fire in the fireplace and simply sitting back and watching it. While, in the modern world, people generally do not have to depend on fireplaces for warmth or cooking, they are still popular additions to homes. Even those who elect not to burn real wood often install gas logs. Other than function, fireplaces can add to style as well. They can become center pieces around which much of the décor can be based. If you are into antiques and nostalgic items, you may want to choose some fireplace accessories that go along with this theme. These items are still available if you know where to look. Antique fireplace tools and other items can be located at places like Adams Fireplace Shop. One thing you can do to build a theme around the fireplace is choose a set of andirons to go inside the fireplace. There are a variety of styles from which to choose. You can go with the antique look by choosing those that have an appearance of yesteryear. If you want to brighten things up, you could go with something like brass. 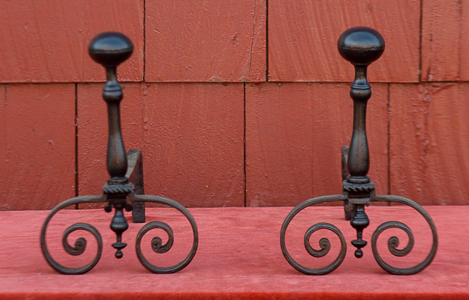 Some people even go for andirons that resemble their favorite animal. If you actually plan to use your fireplace to burn wood, you might consider a screen to place in front of it while the fire is going. This will help to prevent sparks from flying out into the floor. It could also help to contain a log, should one roll off and somehow get past the andirons. They too can be chosen to match up with the décor. You can go with contemporary, antique, or anything in between. While you are using the fireplace to enhance the décor of the room, you could also take a look at the lighting in the room. You can continue the theme by getting lamps of the same style. If you do not have a need for some of the tools that typically are used only when the fireplace is used, you can still put something practical there. This might be the perfect spot for an umbrella rack. Only your imagination can limit what you can do to use fireplace accessories to enhance the décor. If you have a fireplace, you should go ahead and make the most of it. After all, it is already there.